Termites are almost everywhere in the USA: all they require to thrive is a humid climate and some type of food source, which usually ends up being your home. These pests are particularly intrusive due to their ability to spread easily and cause a whole lot of damage before you might even know that they are there. Termite damage is expensive and time consuming to repair. 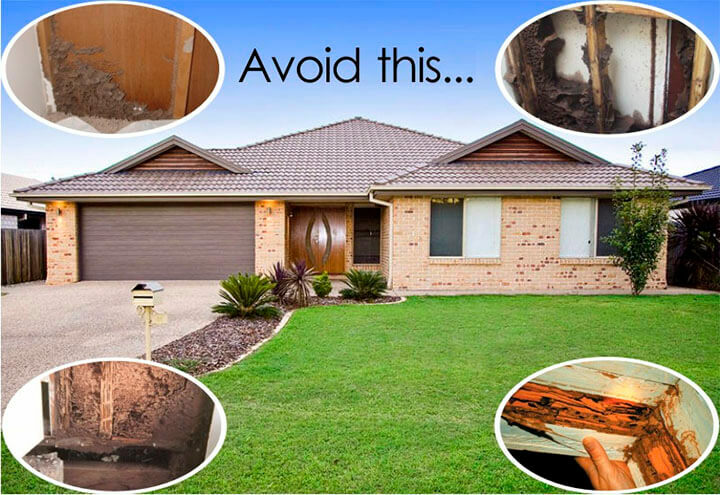 Your home is one of the biggest investments you ever make and therefore one of your most important assets, so you should always be on the lookout for the hazard of potential termites. Termites are drawn to homes by moisture. Besides the typical humid weather, additional moisture could be caused by improper drainage in our home as well as poor airflow and leaky pipes. Standing water around or even in the foundation of your home can also form a conducive habitat for termites. The best way to prevent moisture from attracting termites is to inspect the foundation of your home for proper drainage and to ensure that it is correctly ventilated. Southern states, like Georgia, are more susceptible to termite infiltration. This is due to the year-round moisture in the air, as previously mentioned, as well as the ample rainfall that Atlanta gets and the fact that the area is ripe with possible food sources. Even just the air you breathe in Atlanta is perfect for termites to flourish. Weather plays a big part in determining if termites will thrive in a specific region or not – moist weather is a termite’s ideal breeding ground. If the weather wasn’t moist enough, a termite’s body would simply dry out. 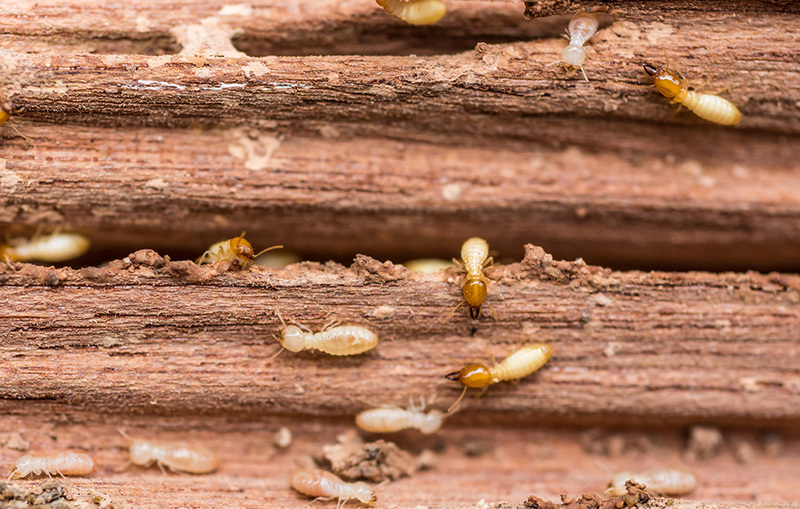 Termites are constantly seeking out wood, paper, and other cellulose materials to consume. If there is unkempt shrubbery around your home, it could put you at risk for getting termites. For example, simply unraked leaves that cover the ground create shelter and room for termites to forage and feed. The same goes for mulch; termites will happily feed on mulch for a while in order to get closer to damaging your home. 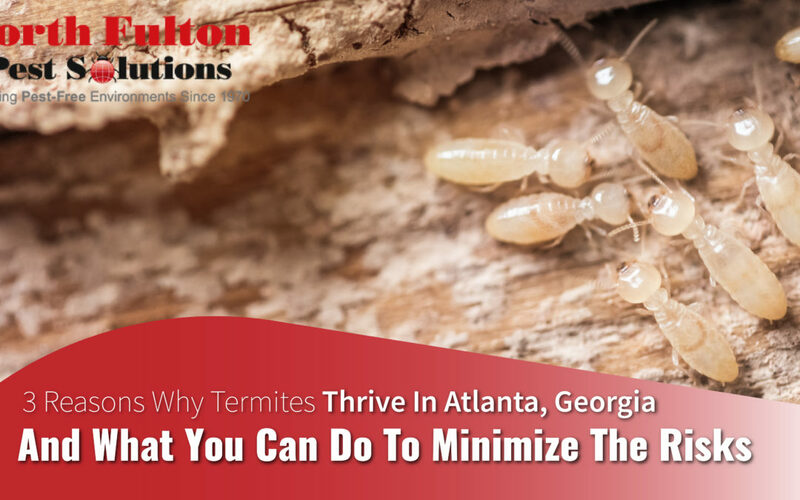 Some species of termites exclusively move through wood or soil, which means that any wood that comes in contact with your home’s foundation could put you at further risk for a termite infestation.Firewood, for example, that is located close to your home could grant an army of termites access to your home’s structure.Termite control Atlanta is a good investment in order to protect your home from even more costly termite damage. If you notice any of these signs or think you might have termites due to other signs, you should contact a reliable pest control Atlanta company immediately so they can come and assess your situation. Termites look an awful lot like flying ants, so if you spot an insect you are unsure about you should consult with a pest control professional to be safe. At North Fulton Pest Solutions, our experienced pest control team in Atlanta offers a wide range of both home and commercial pest control services. Our goal is to help protect your home by identifying your pest issue and taking care of it as efficiently as possible. If you are concerned that you might have termites or another pest issue, contact us today for a free estimate!